One-of-a-kind cultural critic and New York Times bestselling author Chuck Klosterman “offers up great facts, interesting cultural insights, and thought-provoking moral calculations in this look at our love affair with the anti-hero” (New York magazine). 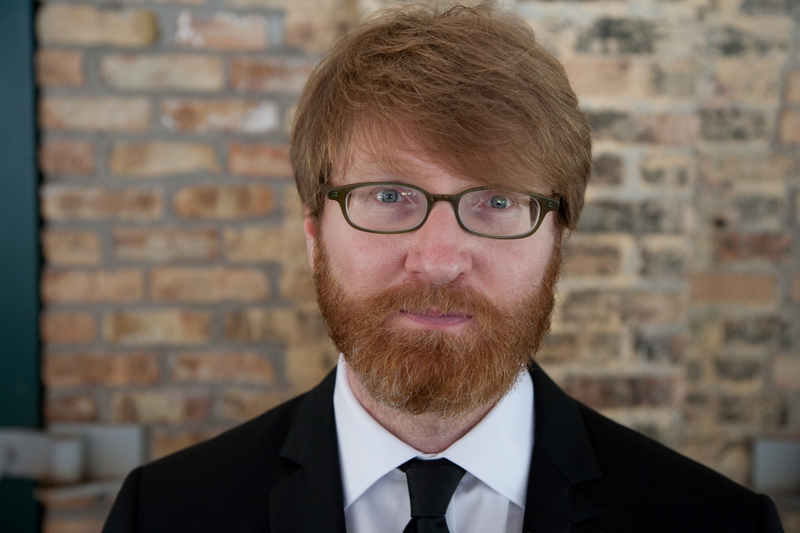 Chuck Klosterman, “The Ethicist” for The New York Times Magazine, has walked into the darkness. In I Wear the Black Hat, he questions the modern understanding of villainy. When we classify someone as a bad person, what are we really saying, and why are we so obsessed with saying it? How does the culture of malevolence operate? What was so Machiavellian about Machiavelli? Why don’t we see Bernhard Goetz the same way we see Batman? Who is more worthy of our vitriol—Bill Clinton or Don Henley? What was O.J. Simpson’s second-worst decision? And why is Klosterman still haunted by some kid he knew for one week in 1985? Masterfully blending cultural analysis with self-interrogation and imaginative hypotheticals, I Wear the Black Hat delivers perceptive observations on the complexity of the antihero (seemingly the only kind of hero America still creates). 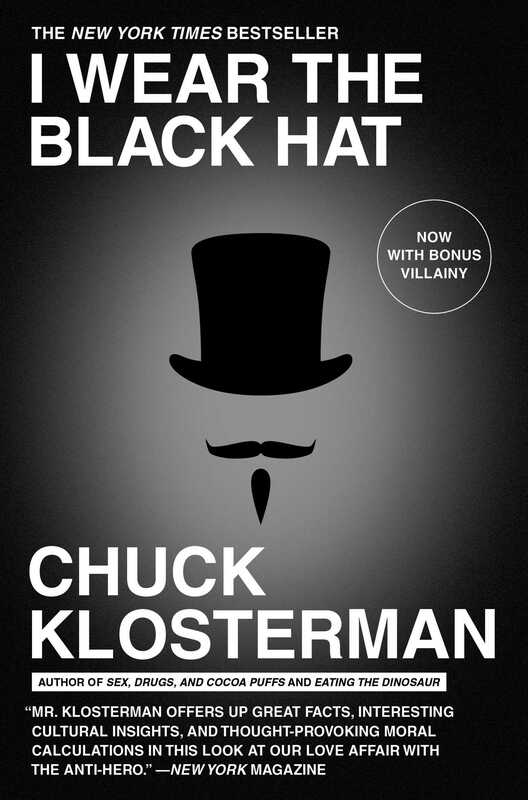 As the Los Angeles Times notes: “By underscoring the contradictory, often knee-jerk ways we encounter the heroes and villains of our culture, Klosterman illustrates the passionate but incomplete computations that have come to define American culture—and maybe even American morality.” I Wear the Black Hat is a rare example of serious criticism that’s instantly accessible and really, really funny. "Masterfully blending cultural analysis with self-interrogation and imaginative hypotheticals, I Wear the Black Hat delivers perceptive observations on the complexity of the antihero (seemingly the only kind of hero America still creates). I Wear the Black Hat is a rare example of serious criticism that’s instantly accessible and really, really funny." "Klosterman has a knack for holding up a magical high-def mirror to American pop culture that makes all of our vanities and delusions look painfully obvious. Spend enough time reading I Wear the Black Hat, and you might even start to recognize, in its pages, your own silly assumptions, your snap judgments, your stubborn loyalties and your badly rationalized prejudices….By underscoring the contradictory, often knee-jerk ways we encounter the heroes and villains of our culture, Klosterman illustrates the passionate but incomplete computations that have come to define American culture — and maybe even American morality." "Klosterman's prose exhibits the same firecrack fizz and pop, and his endearing/unnerving polemical habits remain in place." "A gleeful and often funny explanation of villainy, both fictional and real." "Klosterman considers how inconsistent, unpredictable and surprisingly elastic the concept of villainy has been in American culture since the 1970s....the entertainment value of his thought processes and the quality of his prose are high." "Klosterman attacks his subjects with intellectual rigor and humor... you should read this thought-provoking book."